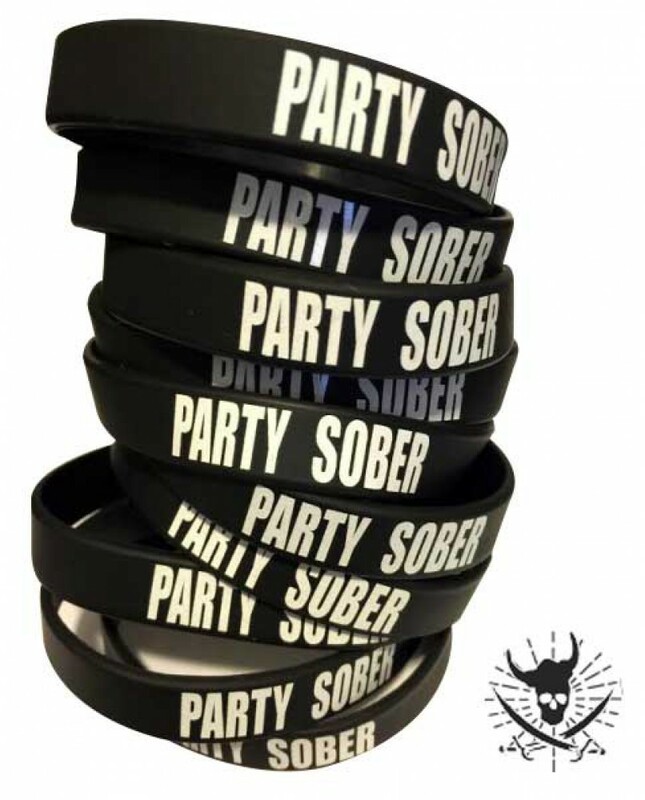 Silicone Bracelet With Party Sober Printed On it. One Size Fits All. Unixsex.